Spring is in full bloom and new opportunities are here! Here is a great opportunity to own a home in one of the most talked about communities in Oxnard. 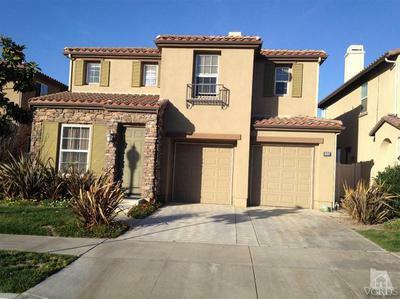 Come see this fantastic property located at 337 Lakeview Ct. Home for Sale in Oxnard CA. We will be holding an Open House Saturday, April 12, 2014 from 2-6 pm to showcase this property. Everyone is welcomed. Bring all your loved ones and hang out. Listing Courtesy, Pete Delgado, of Century 21 Hometown Realty: Shea Home in the Tradewinds Community at Riverpark! This spacious four bedroom and three bathrooms Home is appointed with Hardwood flooring in formal living room, tile flooring in family room, Granite counter top and Stainless Steel Appliances in kitchen. One Bedroom and full bathroom downstairs, plus a loft in the second floor. Backyard with stamped concrete patio. Low Association Fees. Just minutes from The Collection!